The keynote speech was delivered by H.E. Juma Mohamed Al Kait, Assistant Undersecretary, UAE Ministry of Economy, who said: “The gold, diamond and precious metals sector is one of the most important for the country’s economic diversification and is expected to witness significant growth in the coming period as part of the UAE’s diversification objectives. The UAE accounts for about 14 per cent of the world's gold trade, and Dubai in particular is rising through the ranks as a purchase and investment destination as it accounts for 20 per cent of world sales of precious metals. The strategic location on the trade routes of East and West makes the UAE an important gateway that connects the producing countries, the major manufacturing centres and the largest consuming markets in the world. DMCC plays a very crucial role as a leading hub for commodities and for putting the UAE on the world map as the leader in precious metal trading. 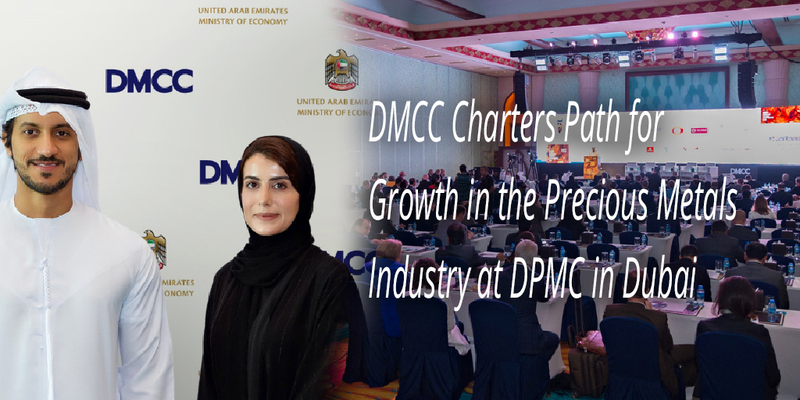 DMCC's commitment to creating a diverse and robust trading environment aligns with the UAE's mission to be a diversified economy and promote economic growth and development."